If rain and other debris are coming through your garage door, it is as easy as your garage door may not be sealed properly or may need new seals. My garage door remote is not working, what can be wrong? If your garage door remote is not working, first check your batteries, they may need to be changed. When the wall –mounted button works but the remote does not you may need to reprogram your remote. How do you know you might need a garage door alignment? If your door closes about half way, stops and goes back up, the lights on the opener are flashing. If this is the case, Crawford Doors can come out for a quick tune up. Why does my garage door opener motor run but will not open or close the door? If you can open and close the door manually then your emergency release cord has been pulled. You need to engage the opener, follow the red cord up to the ceiling, push the clip back towards the back of the garage; you should hear it snap back into place. If this does not work, Crawford Doors can come out for a service call and get you back in working order. If I need a new garage door, can I save money by utilizing the original tracks and springs? The answer here is unfortunately no, but the great news is the new parts are warranted when the old ones were not. Plus, tracks and springs are not interchangeable; springs are weighted based on the weight of the new garage door. Why do I need regular service on my garage door and garage door opener? 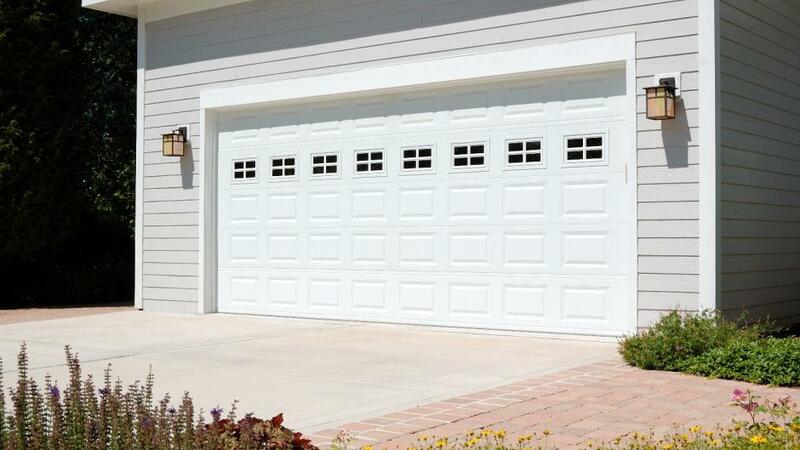 The garage door is the largest moving structure in your home and with so many parts, there is wear out over time. 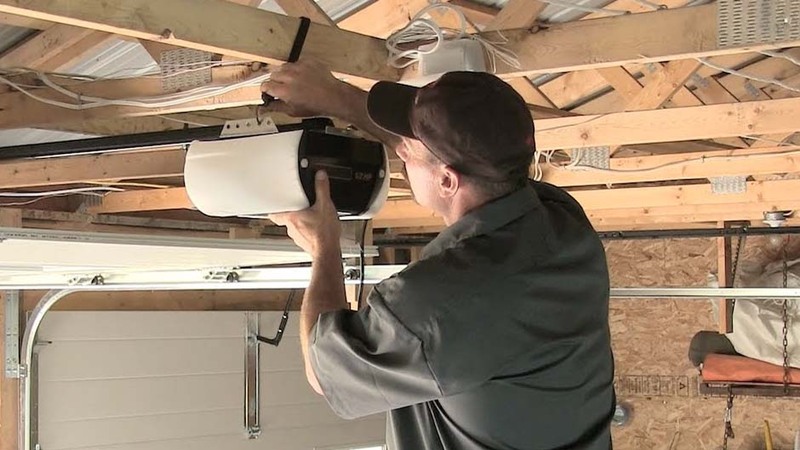 It is recommended that you get your garage door tuned up yearly from a trained technician. It’s imperative that you do not attempt to fix or tune up your own garage door; you can be seriously hurt or even killed. Garage Door installation DIY or DI Don’t? Installing a garage door can be very dangerous; this is a complicated process and it should be done by a trained technician to install the garage door. A professional will adjust and lubricate the door upon installation and trusting a company like Crawford Doors, you receive warranties on parts, employed trained installers and a personal guarantee from the owner for the product and customer service. Can I replace the garage door springs myself? If a garage door spring breaks or you think it is broken; we ask that you do not “spring” into action to attempt to replace yourself. Garage door springs are under high tension and can cause injury or death if you are inexperienced on installing garage doors. There are two types of springs used with garage doors. Extension springs are located above the tracks on both sides and torsion springs, which are located above the garage door opening. Danger is not the only reason to let a pro replace your torsion springs. Figuring out what size of replacement springs your garage door requires and then finding them at a retailer, is a project in and of itself. If you have a garage door that wouldn’t open, and a repair job that I wouldn’t be taking on, it was time to get on the phone to Crawford Doors. Insulated Door – Need or Not? The answer is yes for a variety of reasons. An insulated door provides energy efficiencies, and reduces noise.